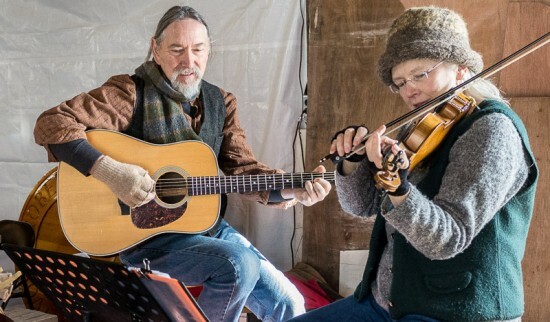 Twisted Strings is an acoustic duo, playing old and new tunes with Celtic roots. Michele Roy, fiddle, and Will West, guitar and Irish bouzouki. Our music is energetic and engaging, and we love to share it. Exciting, toe-tapping, authentic tunes played on fiddle, guitar, and bouzouki. 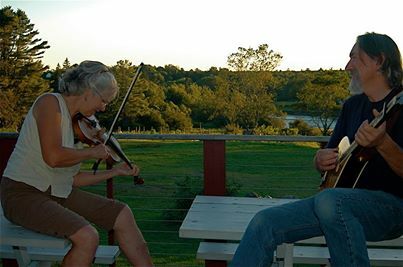 Twisted Strings is an acoustic duo, playing old and new tunes with traditional Celtic roots. Michele Roy has been playing fiddle tunes since the late 80s and has worked with various Contra Dance bands including Catharsis, Walker Street, and The Growling Old Girls. She first met Will in 2003, and they reconnected in 2009 to form Twisted Strings. Will West has played a variety of genres over the years, but has always been rooted in traditional music. Since the forming of Twisted Strings, Will has focused on Irish and American tunes on both guitar and Irish bouzouki. 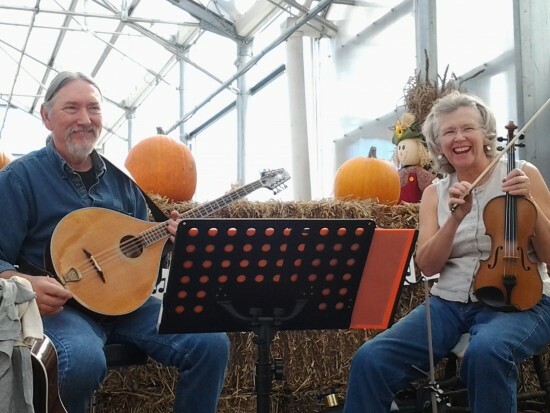 Michele and Will bring their playing experiences together to create a powerful and creative musical duo, with fresh interpretations of tunes grounded in the traditions of the form. Twisted Strings are from the Central Maine area, and travel around New England playing dances, weddings, and special events. We can provide a sound system if you'd like. Or, if you have a small intimate setting, we sound great unplugged! We play medleys of traditional Irish jigs and reels, sprinkled with a few old-time tunes, some Quebecois sets, and the occasional waltz and hornpipe. We love the music of Martin Hayes, Solas, and Altan. Protection from the elements. We play outdoors a lot.